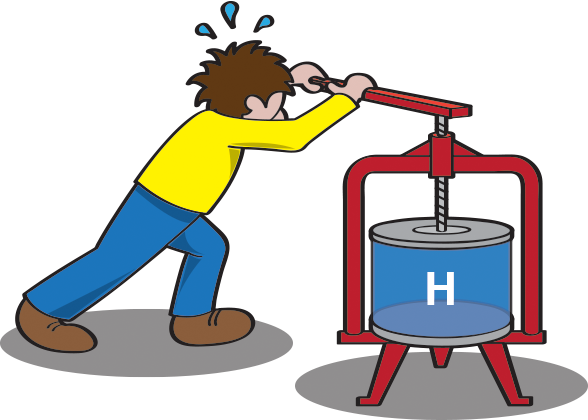 SF and Nonsense: As hard as ... hydrogen? Should you care? That's unclear. In the "no" column, and as Scientific American reports, skepticism abounds. "Doubts Cloud Claims of Metallic Hydrogen." But if the result is confirmed, then what? For one, we may be able to study material believed only to be found naturally (in this solar system, anyway) at the heart of Jupiter. For another, we might have a room-temperature superconductor. Me? I'd be leery of using -- hell, of being anywhere near -- something containing metallic hydrogen. Why? Think for a moment about the energy stored in metallic hydrogen in the course of applying all that pressure. What happens if/when something causes all that potential energy to become ... kinetic? So: metallic hydrogen (again, I caveat: if it really exists and can be artificially produced) should beat the heck out of, say, kerosene or old-fashioned liquid hydrogen. As in "Lab-Made 'Metallic Hydrogen' Could Revolutionize Rocket Fuel."